Julie and Scott escape from prison and meet a very nice couple and their newborn baby. 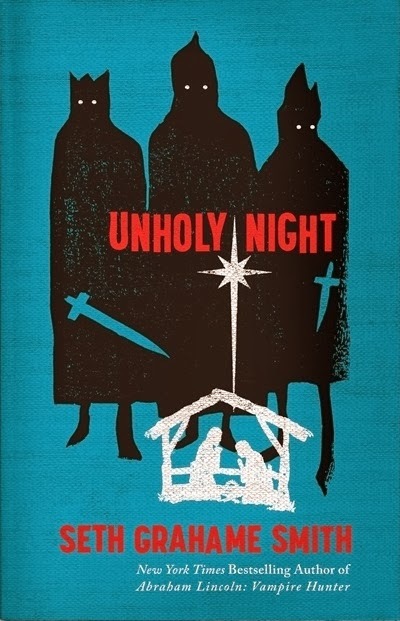 But there's just something about that baby... Unholy Night by Seth Grahame-Smith. 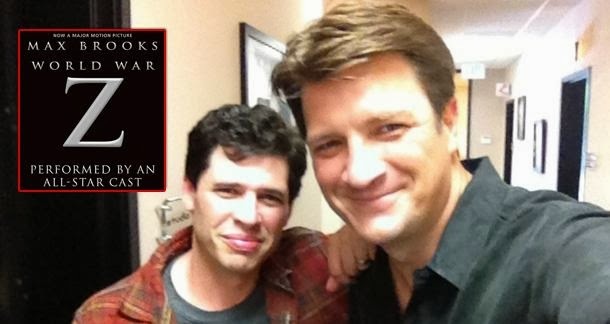 The Official Site of Seth Grahame-Smith - Warning: Contains Pride and Prejudice. And zombies. Julie and Scott watch Lincoln, which is about a guy that used to be the President of the United States and not a Tom Hanks movie about a large hilarious dog named "Lincoln". (The dog you're thinking about is named "Hooch".) Friend of the podcast Tamahome is mentioned, but Johnny Depp is not. And Daniel Day-Lewis? Brilliant. Julie can't sleep because of the incessant pounding while Scott won't let Mrs. Dudley clear the table. Both are terrified while they discuss The Haunting of Hill House by Shirley Jackson. 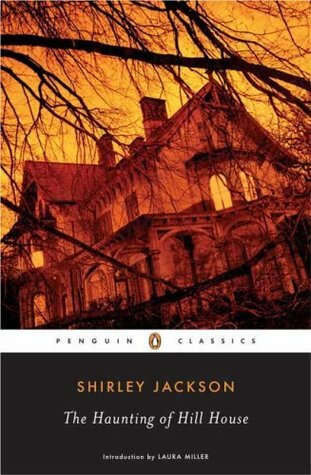 Add The Haunting of Hill House to your Goodreads pile. Julie and Scott know that this stuff is real. Look to the chalk! They talk about the fantastic Pan's Labyrinth, written and directed by Guillermo del Toro. Guillermo del Toro on IMDB. 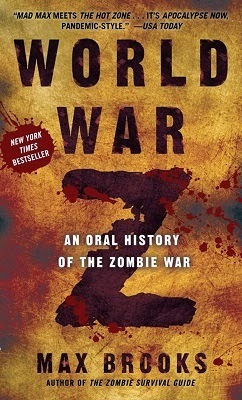 Julie and Scott remedy the complete lack of zombies in recent podcasts by talking about World War Z (both the movie and the book). Other training films are mentioned. Julie thinks the aliens are *SO* cute, but Scott knows that in a second they're gonna get mean, and they're gonna get ugly somehow, and there's gonna be a million more of them. Galaxy Quest (1999) is the topic of Good Story #68. 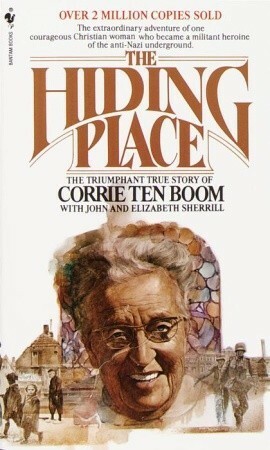 In this episode, Julie and Scott discuss The Hiding Place by Corrie Ten Boom, a book that deserves to be read more than once in your life. Julie and Scott take leave to visit Malli and Moshe. They like to think they have more manners than the Ushpizin in this excellent film. Ushpizin (2004), written by Shuli Rand, directed by Giddi Dar. Join Julie and Scott as they drop everything and head to Kirinyaga. Koriba said it would be pretty great. 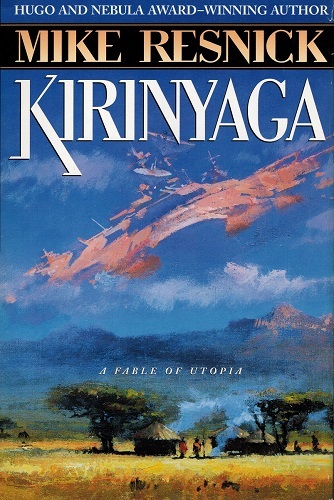 Episode 65 - Kirinyaga by Mike Resnick. Julie was busy in the LEM when Scott stirred the tanks. The rest is history! 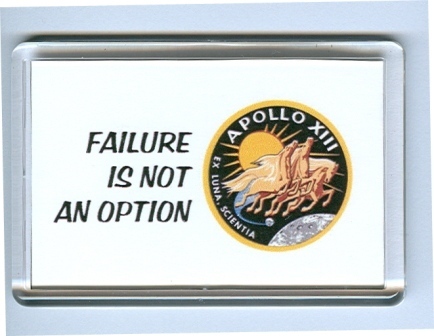 Apollo 13, directed by Ron Howard, is the subject of Good Story Episode 64. From Universe Today, a post from 2008 that shows several pictures of the Earth and Moon from various craft. Just last week, the Saturn orbiter Cassini took this picture, and here are two pictures of the Earth, one from Mercury and one from Saturn. Episode 63 finds Julie and Scott in India searching for good nicknames. Bookmark goes undercover as a maid, while Popcorn is outside drinking tea from a crumpled paper cup. 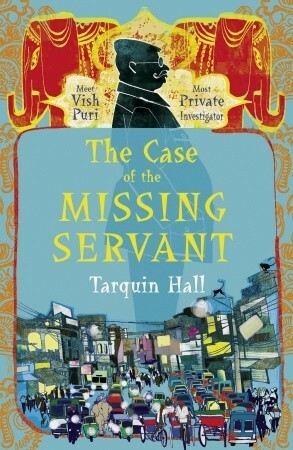 They both enjoyed The Case of the Missing Servant by Tarquin Hall. Scott's all in black, with panther-like grace. Julie practices knife throwing. They both deal in lead, friend. Lead and talking about The Magnificent Seven, that is. Tension, apprehension, and dissension have begun in episode #61! 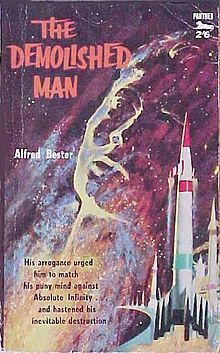 Julie and Scott discuss The Demolished Man (1953) by Alfred Bester. Julie adopts a cat. Scott eats some pie. Will Smith takes a shower. They all try to ask the right questions. Alex Proyas' "I, Robot" is discussed. Asimov is mentioned, and Harlan Ellison, and Star Trek Into Darkness, and 12 Angry Men. I, Robot (the Illustrated Screenplay) by Harlan Ellison. The movie that was never made. Would have been a good one! Helen O'Loy by Lester del Rey ... NOT in Asimov's "I, Robot." No wonder Scott didn't recall it. The great question that will be with us throughout this entire book: What did Jesus actually bring, if not world peace, universal prosperity, and a better world? What has he brought? The answer is very simple: God.... He has brought God, and now we know his face, now we can call upon him. Now we know the path that we human beings have to take in this world. Jesus has brought God and with God the truth about our origin and destiny: faith, hope and love. It is only because of our hardness of heart that we think this is too little. Yes indeed, God's power works quietly in this world, but it is the true and the lasting power. Again and again, God's cause seems to be in its death throes. Yet over and over again it proves to be the thing that truly endures and saves. In this episode, Julie and Scott take a quick swim to the deep end of the pool (where all the cool kids hang out) to talk theology. 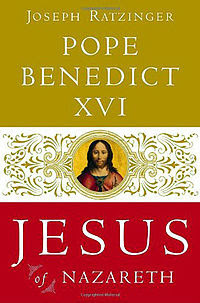 The subject is Jesus of Nazareth: From the Baptism in the Jordan to the Transfiguration, written by Joseph Ratzinger (Pope Benedict XVI). Julie and Scott talk about Of Gods and Men, directed by Xavier Beauvois. What a film it is! 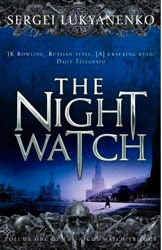 Good and evil, collective good vs. individual good - these are some of the themes in Sergei Lukyanenko's The Night Watch. And vortexes. And some body switching. And vampires, werewolves, magic... urban fantasy, straight from Russia! Scott and Julie discuss the book. In Episode 56, Julie and Scott talk Be Kind, Rewind - a movie directed by Michel Gondry that stars Jack Black and Mos Def. Don't worry - they rewound it for you. Let them know if the tape is blank, and they'll see what they can do. Julie and Scott wander around in another failed civilization, this time with Lauren Olamina, who luckily has come up with her very own religion. We also talk a bit about the Pope and Tostitos. 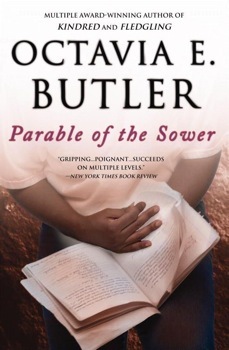 Parable of the Sower by Octavia E. Butler. Wikipedia says that SolSeed is a social movement inspired by Earthseed, the fictional religion presented by the main character in this book. O God, who in your providential design willed that your Church be built upon blessed Peter, whom you set over the other Apostles, look with favor, we pray, on Francis our Pope and grant that he, whom you have made Peter's successor, may be for your people a visible source and foundation of unity in faith and of communion. Through our Lord Jesus Christ, your Son, who lives and reigns with you in the unity of the Holy Spirit, one God, forever and ever. Amen. 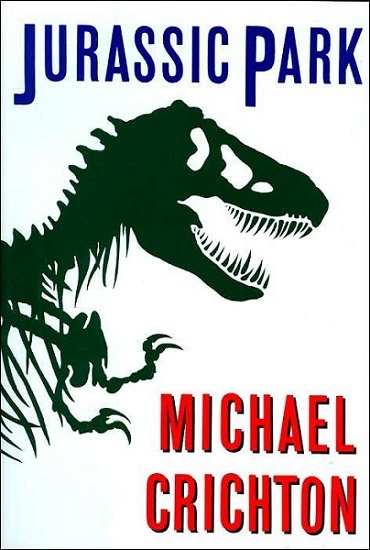 Julie and Scott talk about Jurassic Park by Michael Crichton without once saying "hold onto your butts". They note that the Hammond in the book is not a very nice guy. After discussing the book, they bounce off the path and talk about education and our beloved Pope. Then the raptors chase them off. TED Talk: Aaron O'Connell: Making Sense of a Visible Quantum Object. Now this is fun! And exciting! 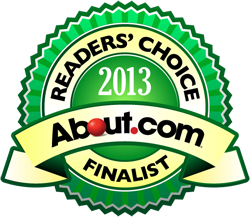 A Good Story is Hard to Find podcast is a finalist in the 2013 About.com Catholicism Awards. Rather than create a podcast about Catholic books and movies, Julie Davis and Scott D. Danielson discuss classic books and movies "as Catholics." I saw we are in there with Fr. Barron, Pray-As-You-Go (a regular listen of min) and other big podcasts I admire. What honorable company Scott and I have risen to! Perhaps we'll get some folks dropping by to try us out though, which would be the best! We can always do with new book-and-movie lovin' pals. Check it out, and be sure to look at the other categories too. 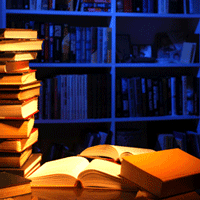 The blogs, books, and suchlike that I recognize are top-notch. Which means I'm definitely going to be checking out the ones I don't know. And vote ... of course ... definitely vote. I don't want to have to bring the Hypno-Toad out for this one. But you know. I'll do what I have to. Julie and Scott made this podcast using a recipe that has been in their families for centuries. They made it especially for all of you. To not listen is... impossible. Mostly Martha is the subject, a German film from 2001 written and directed by Sandra Nettelbeck. Scott is pretty sure that the last movie he saw in German was Das Boot. This one is not much like that one. Julie and Scott post a podcast discussion of Introduction to the Devout Life on the feast day of St. Francis de Sales. We swear we didn't plan it that way... what are the odds? Episode 51. Julie and Scott travel the universe, telling civilizations to stop shooting at them. Scott's robot suit is starting to chafe. The Day the Earth Stood Still - the awesome 1951 version, not the why-did-they-make-this 2008 version. Our first duty, therefore, precisely in order to heal this world, is to be holy, configured to God; in this way we emanate a healing and transforming power that also acts on others, on history. ... In this regard, it is useful to reflect that the Twelve Apostles were not perfect men, chosen for their moral and religious irreproachability. They were indeed believers, full of enthusiasm and zeal but at the same time marked by their human limitations, which were sometimes even serious. Therefore Jesus did not call them because they were already holy, complete, perfect, but so that they might become so, so that they might thereby also transform history, as it is for us, as it is for all Christians. And her obit, which highlights her stand against abortion.